Aer Lingus Regional, operated by Stobart Air, has added another UK destination to its growing network, with today’s announcement that the airline will offer flights between Dublin Airport and Robin Hood Airport Doncaster Sheffield from 29 May next. The latest addition to the Aer Lingus Regional network means the airline now serves 14 key destinations across the UK from Ireland. 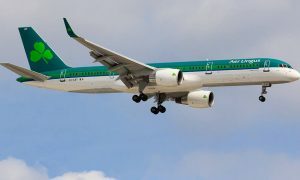 Doncaster passengers flying to Dublin will be able to connect to Aer Lingus’s transatlantic services to New York, Boston, Chicago and Toronto. Dublin Airport offers U.S.-bound passengers immigration and customs preclearance services so there are no border checks upon arrival in the United States. Speaking at the announcement in Robin Hood Airport Doncaster Sheffield today, Mr Peter O’Mara, Business Development Director said that the new route to Doncaster Sheffield represents another key destination for Aer Lingus Regional passengers. Mr O’Mara said: “We are delighted to announce the launch of our new Dublin to Doncaster Sheffield route. Today’s announcement offers further choice for travel to the UK for our passengers and reflects the ongoing success of our franchise partnership with Aer Lingus. Stobart Air operate Aer Lingus Regional under a franchise agreement with Aer Lingus until 2022. 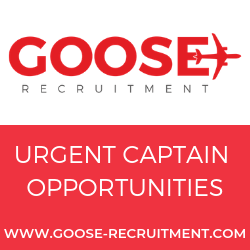 “We are extremely pleased to be providing our customers with easy, convenient and great value regional connections and we look forward to welcoming our passengers on board this new route. Along with direct traffic to Dublin, we will also target the transatlantic market from Doncaster. Passengers can travel to Dublin and seamlessly connect to Aer Lingus’ mainline services to the US and Canada. This will save hours of travel time and queueing in US airports by availing of US Customs and border preclearance facilities in Dublin Airport prior to boarding. ‘We look forward to working with Dublin Airport and Robin Hood Airport Doncaster Sheffield in launching and developing this route for our customers from the 29 May,’ Mr O’Mara concluded. “We are delighted Aer Lingus Regional is further expanding its connections in the UK to Doncaster Sheffield,” said Dublin Airport Managing Director, Vincent Harrison. “This area in South Yorkshire is steeped in history and has many beautiful attractions for those in search of cultural and activity breaks. “This new route will also offer a wide range of convenient transatlantic connections via Dublin for passengers coming from this region and we look forward to working closely with Stobart Air to promote this new service and enhanced connectivity between Ireland and Britain,” Mr Harrison added.